Over the last number of years, I’ve led a course called “Intro to Jesus” as part of my responsibilities as a Pastor of Discipleship in a church in downtown Toronto. The course does exactly what it says: it provides an introduction to Jesus from the Bible, focusing on the personal encounters he has with people from various walks of life. The teaching style is a little different than other basic Christian courses. 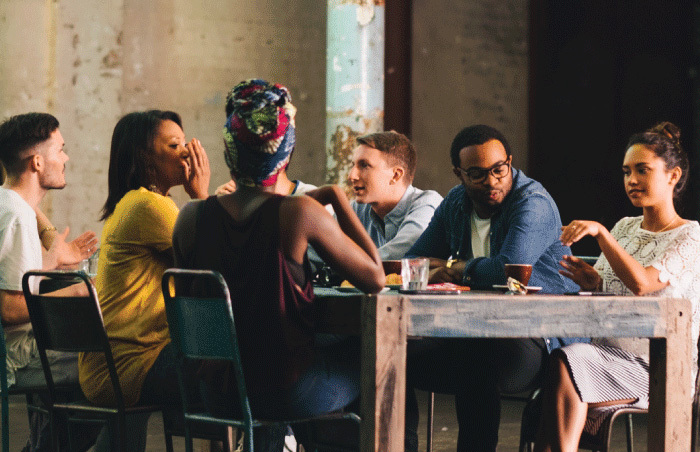 Rather than hearing a talk from a pastor and then discussing a given topic, we gather in table groups, immerse ourselves in the Gospel, and explore the way that Jesus and his followers are represented, paying attention not only to what is said but how. I wanted to help people to become active participants in their own learning and to come away with skills of attentive and prayerful reading. Each session, we began with small group discussion and then shared our highlights. It was amazing to hear people’s questions, concerns, and “ah ha” moments as we discussed together–especially from newcomers. Along the way I would try to draw the threads together, and leave us with a couple of key ideas that were central to the passage and core to Christian faith. The course went quite well. Steadily we grew, reaching 50 people at one point. It seemed like something was missing, though. At first, I couldn’t quite put my finger on it. It was as if people were gliding too easily on the surface. Some of the passages that we looked at were really challenging – the Samaritan woman, Simon the Pharisee, James and John on the way to Jerusalem, and Mary in the garden. We explored issues of human dignity and brokenness, justice and mercy, suffering and sacrifice, resurrection and new life. Our discussion was always lively and engaging. But we struggled to get personal and to see how these encounters are meant to shape our own experience. I was in transition to another parish, so we decided it was time for a clean break with a stronger emphasis on evangelism. I wasn’t sure what to think about Alpha. I knew very little about it. To be honest, I was skeptical of the program as a “teaching tool,” partly because of my experiments with a more interactive approach. But this was an outsider’s impression. I had yet to experience it for myself. I think it was about the third or fourth session that changed my mind. There was lots of overlap with “Intro to Jesus”—sharing a meal, round table discussion, focus on Jesus, etc. 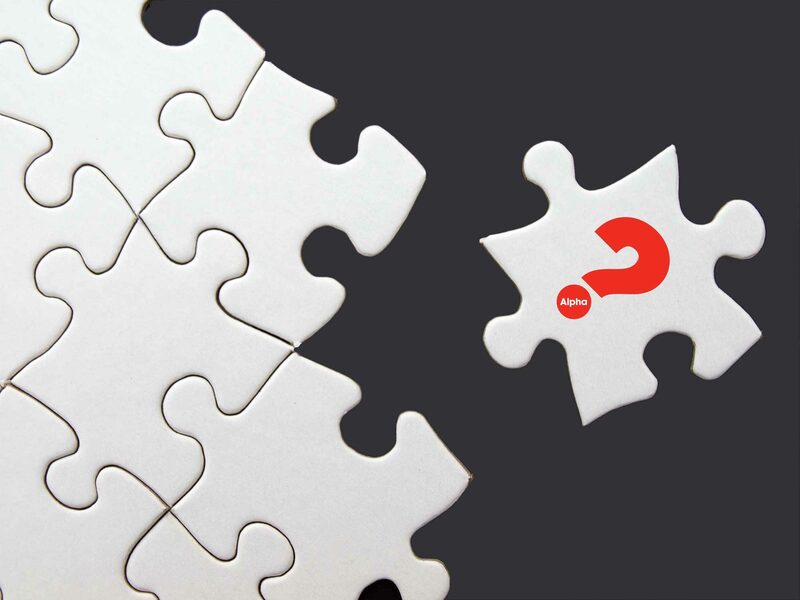 The missing piece for me was the way that each session of Alpha helped to facilitate an experience of living faith. This wasn’t simply about exploring the Bible, seeking to understand and appreciate Jesus from his encounters with others. It was about actually encountering Jesus, experientially, recognizing that he is present through the Spirit and readily accessible in prayer. I had always hoped for this, but I wasn’t sure how to get there. The further we went along in Alpha, people began to open up and share their stories—of loss and regret, of longing and hope. Incredible moments of transformation began to happen. In one of the groups, a middle-aged man confessed to a drinking problem and was finally able to face it and get the help he needed. In another group, a young woman confessed to mistakes she had made in her life and was able to release her guilt in a time of prayer. In yet another group, an older woman who had been exploring all her life finally came to faith in Jesus. Throughout there was no pressure; Alpha has a wonderful way of to helping people along in steps of faith without being too directive. It simply points to Jesus and gives assurance that God loves us deeply even as we toss and turn and work through our questions. It also gives opportunity to take steps of faith in prayer with others. Some found their way with this quite easily. Others held back. Either way it didn’t matter. There was always the freedom to be ourselves and to explore as we felt able. And we always had good food to share among friends regardless of where we were at. I share all of this partly as confession. Perhaps you can relate. To put it plainly, I think I’ve been too cautious with newcomers for fear of offending. Of course, there’s the danger of coming on too strongly and imagining ourselves in a saving role. We’ve seen this too often, and it’s probably one of the reasons we would be cautious. At the same time, many people around us are actively seeking and looking for helpful companions on the journey. It’s important to let this sink in: We are those people. I also share this to commend Alpha to you. I certainly haven’t given up on the interactive learning style I mention above or helping people to read Scripture prayerfully in small group settings. This is all good stuff. At the same time, I’m grateful for having hosted an Alpha course and remembering afresh that at the heart of community God is indeed alive and present and drawing us to himself in an experiential way through faith. I‘m not sure that I’ve ever come across anything quite like it for helping people to begin that kind of adventure. Alpha’s new series of videos, filmed all over the world, are freely available for download from Alpha Canada at https://www.alphacanada.org/ . I hope some churches that offered Alpha years ago will think about revisiting their use of this wonderful tool. And for those who might have dismissed the course without actually having ever offered it, I’d say try it. You won’t be disappointed. 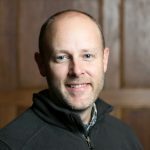 SEAN DAVIDSON is currently an associate pastor at the Church of the Resurrection in Toronto, and a visiting professor at Briercrest College in Saskatchewan. Over the last twenty years, he has taught in various ministry contexts and has helped to develop and lead missional small groups in several churches of various sizes across Canada. Sean has a BA in Theology from Briercrest College, a PhD in Renaissance and Reformation Literature from McMaster, and a certificate of Anglican Studies from Wycliffe College. Sean currently lives in downtown Toronto with his family, and enjoys unwinding by fly-fishing in local rivers. Sean is also an Institute of Evangelism Mentor and can help your church to better work with missional small groups. Sean will help churches assess the small groups that presently exist in their church and help these groups (as well as new ones) function in a more missional way, through such shared practices as hospitality, study, prayer and setting down roots in the Christian faith.